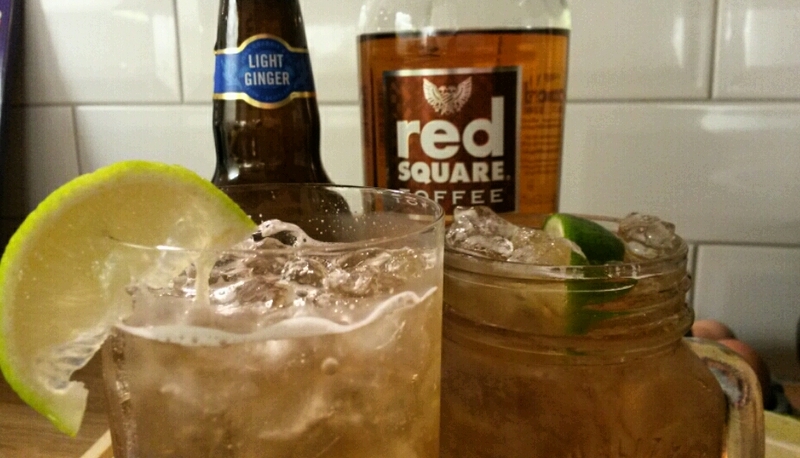 I did a little bit blogging with Crabbie’s Alcoholic Ginger Beer for Foodies Festival, which has led to trying out the new Red Square Toffee Vodka – not something you’d usually find in our drinks cabinet. Red Square have launched a completely new range of vodka which aims to change perceptions of the brand. The two new flavours, toffee & sloe, are designed to be the ‘perfect ingredient’ for cocktails. With a lot of really interesting, independent liqueurs out there, they’ve got their work cut out for them. 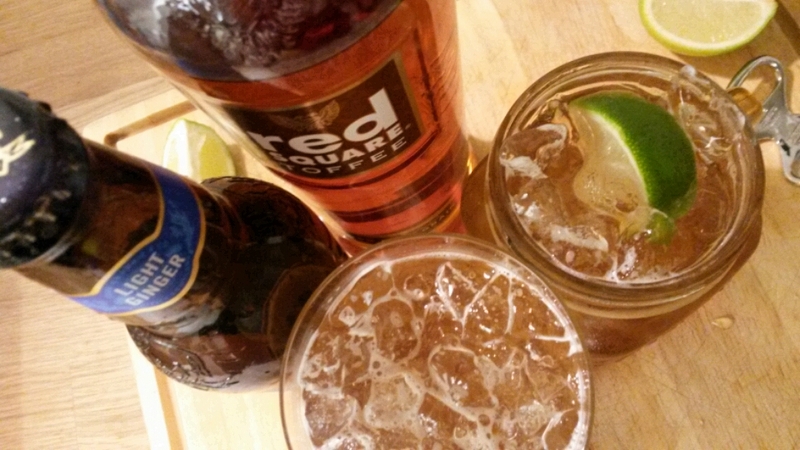 Toffee Mule… one for those with a sweet tooth! Half fill a tall glass with crushed ice. Add 50ml vodka and squeeze of lime wedge. Top up with crushed ice then mix with a bar spoon. 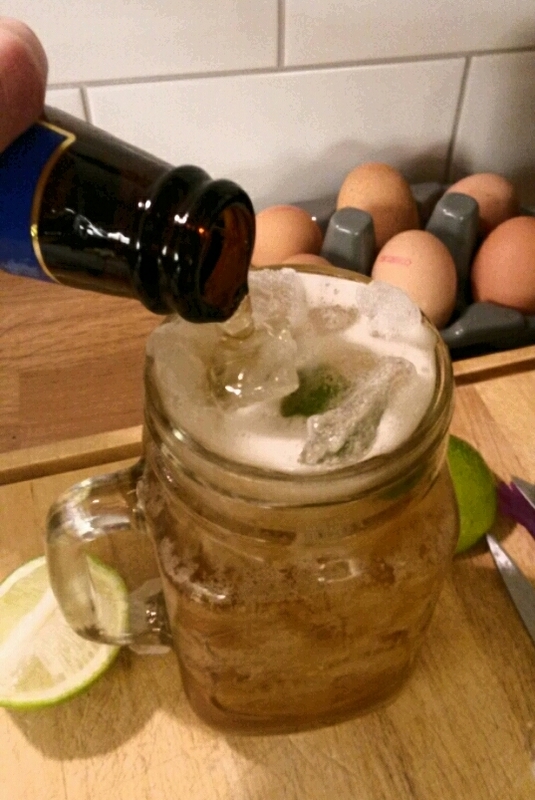 Add more crushed ice & top with Crabbie’s Alcoholic Light Ginger Beer. 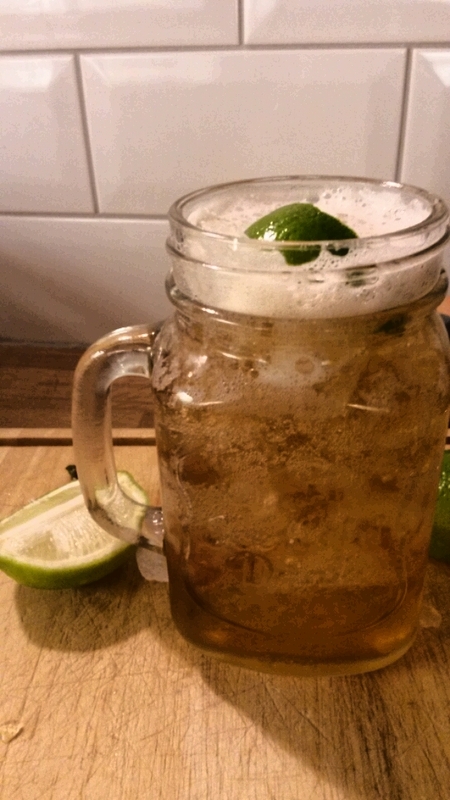 Garnish with a wedge of lime. If the ginger beer and toffee flavour is a bit too sweet and strong (as it was for me), half the amount of ginger beer and top up with regular soda. 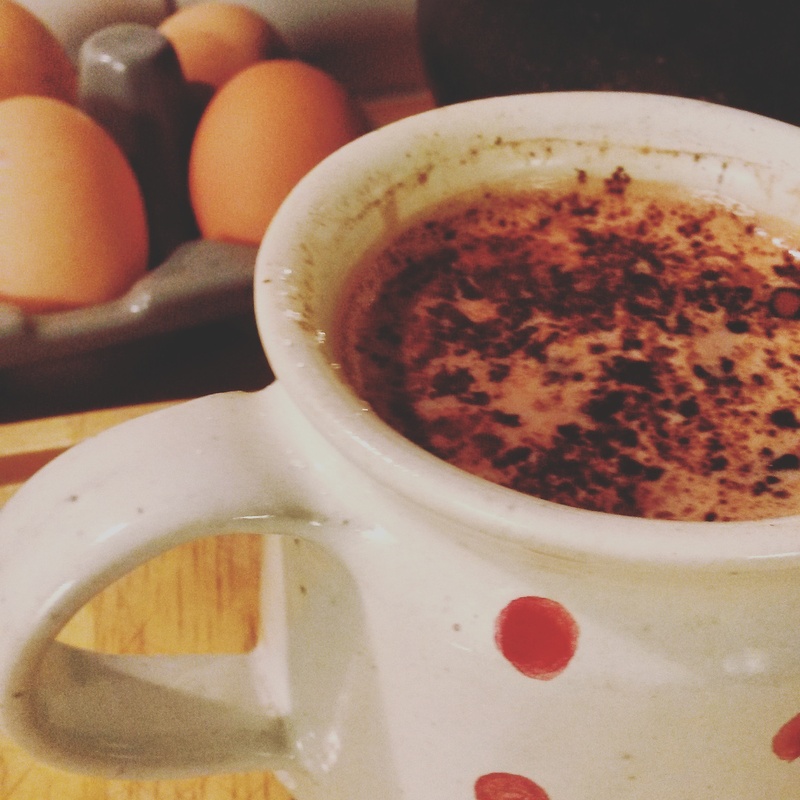 Toffee Cocoa… a bit of DIY recipe and lovely on a cold, winters night! 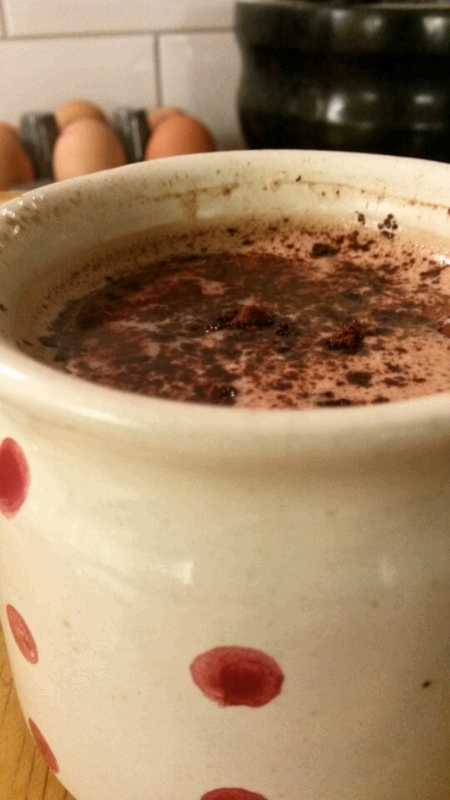 Gently heat the milk in a pan, and stir in the cocoa powder. Once dissolved, add half a teaspoon of sugar (less if you like it quite tart), then pour in a good splash of Toffee Vodka. I can only imagine a cup of Toffee Cocoa would be greatly improved with a mountain of mini marshmallows, a cosy fire and a good book. I’ve also been told that a little bit of Cointreau in your hot cocoa is like drinking Terry’s Chocolate Orange… next on my list to try!